Thomson Renovation Contractor specialises in managing home renovation projects.We take delight in managing the process of construction, and any challenges which comes in our way. We are proud of executing our works in a timely, consistent, and responsible manner. We believe that homes are meant to last for a long time, and that’s why we build for that. We take no shortcuts to compromise on durability. Let us help you build your home to last for generations. We take immense pride in precision and craft in our works. Through our system of quality checks and management, our experienced hands will make sure the built quality is always up to standard and more. 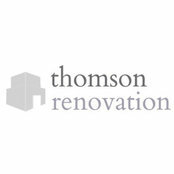 Ekspert-information:Thomson Renovation Contractor provides quality direct home renovation services. We are experienced in managing projects and focused on durability and craft.